A simple, natural buckwheat pillow designed for comfort. DULUTH, MN – October 5, 2012 A type of pillow that has been used for many centuries in Japan is making a big comeback. Hulltex is excited to announce the arrival of Hullo™ buckwheat pillows. Buckwheat pillows conform to the shape of your neck and head and provide support superior to that of down or cotton-filled pillows. This support allows the muscles in your neck and back to completely relax, reducing tension and resulting in a more restful sleep and a healthier spine. You are likely familiar with the “cool side of the pillow”, and how good it feels to escape the heat that builds up in your pillow. 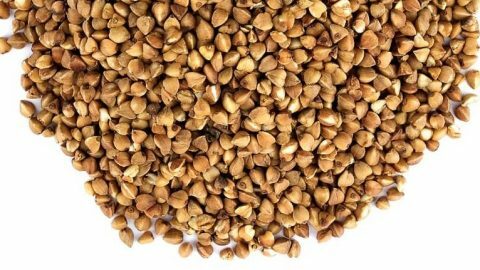 Buckwheat hulls’ structure allows air to flow through the pillow so that it feels cooler and “fresher” throughout the night. We all have our preferred sleeping position, and the thickness of your pillow is very important for achieving comfort. Whether you are a side sleeper, a back sleeper, or a stomach sleeper, the thickness of Hullo™ can be easily adjusted for you by adding or removing buckwheat hulls. Every new Hullo™ comes fully-stuffed, so that its owner has plenty of fill for their needs. From the 100% certified organic cotton case to the air-cleaned buckwheat hulls inside, these pillows come from the earth, literally. Hullo™ is a natural, renewable product, free of chemicals, petroleum-based foams, and animal products. Buckwheat pillows are an ideal option for people who suffer from allergies caused by traditional pillows. Hullo™ is made in the U.S.A. and our buckwheat hulls are grown and milled in the United States by American farmers. “Many people who try buckwheat pillows are amazed by how something as simple as a pillow can have such a positive impact on their lives.”, said Jasha Levenson, one of the company’s co-founders. Hulltex LLC is an American company that designs and manufactures all-natural buckwheat pillows.